Although the World Café is well known in the moderation space, I have rarely seen this format used as a Scrum Retrospective. The World Café requires larger groups than a typical Scrum Team, this might explain why. That said, do you work on a multi Scrum-Team Project? 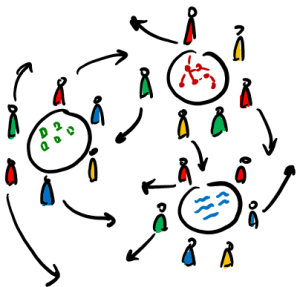 Do you also hold larger retrospectives with all team-members on a regular basis? 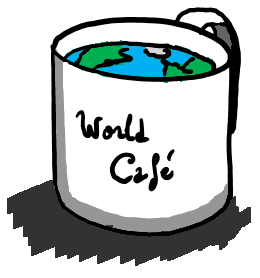 Give the World Café a try, I’m sure you’ll find it very interesting. I find the World Café particularly efficient in order to spread Scrum patterns, practices, tips and tricks across the teams. Done well, you can expect a really good leveraging of the Scrum processes and experiments done by your teams. You can see it as a mean to perform cross polinisation between the teams. As a side effect, you – as a Scrum Master – will get a good picture of where your team members currently are at in their Scrum adoption. Like many good ol’ knights at King Arthur’s side, the World Café revolves around tables. As a rule of thumb, I suggest counting with 6 to 10 persons per table. At each table you should place a big sheet of paper and various colored pens, enough so that everyone can grab one (or more) at will and write or draw something down. As a personal tip, I’d suggest to try and get paper napkins instead of Flipchart sheets. In my experience, writing directly on the table triggers some kind of psychologic effect that increases creativity and removes the typical „Post-it-format“ boundaries set by countless „Mad/Glad/Sad“ retrospectives. You will also need three questions, I’ll describe this with more details in a bit. First, spread out the participants evenly at the different tables and let them elect a moderator each. The moderators will then stay at their tables during the whole retrospective. All the groups start by discussing the first question and write down all the ideas they have with whatever mean they think is appropriate. Brainstorm, MindMapping, Sketchnoting, Drawing etc. everything is allowed. At the end of the first round – remember to set a timer that everyone can hear – the moderator thanks the participants and send them away. The participants should now form into new groups, avoiding people they discussed the first question with; if manageable. The moderators present a quick summary of what has been discussed at their table, introduce the second question to their new group and moderate the resulting discussion using the same or another technique, as is felt appropriate for the current group. Repeat the format for the last question. Through the first question, you will see current problems being verbalized and emerge as people devise what has been painful in the past. Via the second question, a different set of eyes will be laid onto the problems that are still visible on the table. Doing so, we want to have a group of persons think about the solution they implemented or experimented with while being influenced by problems faced by others. The third question intends to get new ideas out, ideas that often emerged from the discussion but could not be expressed in the second round. As you can see, this format is fairly simple but is particularly efficient in helping teams influence each other and come up with ideas on their own. You shouldn’t expect world revolutionizing ideas to emerge, but you should be able to see a good cross-pollination of your teams with ideas and experiments to run right away. As a closing event, you can gather the whole team and ask the moderators to present the outcome of their respective discussions. I like to gather action item during this part and – for instance – use silent voting (raise your hand) to prioritize the items right in their order of importance or impact on the output of the teams for example. 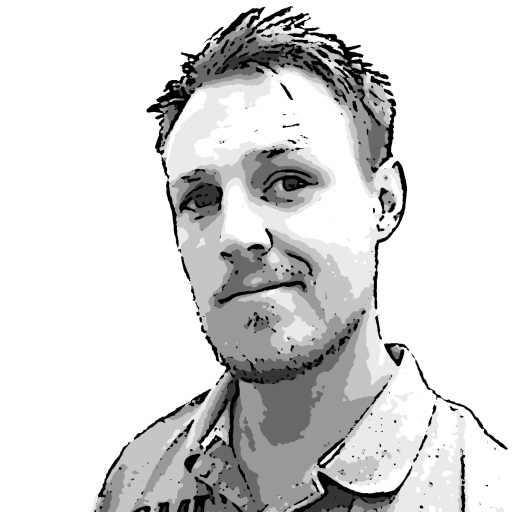 Tim Bourguignon likes to describe himself as a full time geek, agile developer and BS hunter. He was born in France, raised as a European child and currently lives in Germany where he juggles with software development, Scrum Mastering and Agile Coaching. When he’s not in front of a computer, you’ll find him behind a camera, in his running shoes or with his wife & son… of course never in that order! Read more about Tim on his Website www.timbourguignon.fr on contact him on twitter @timothep. Oikosofy http://oikosofy.com/wp-content/uploads/2016/08/new_logo_oikosofy.png Oikosofy2015-07-20 09:00:062015-07-20 09:00:06"The World Café"